Currently, a person who voluntarily leaves employment with “good cause” is eligible for unemployment benefits under employment security law. 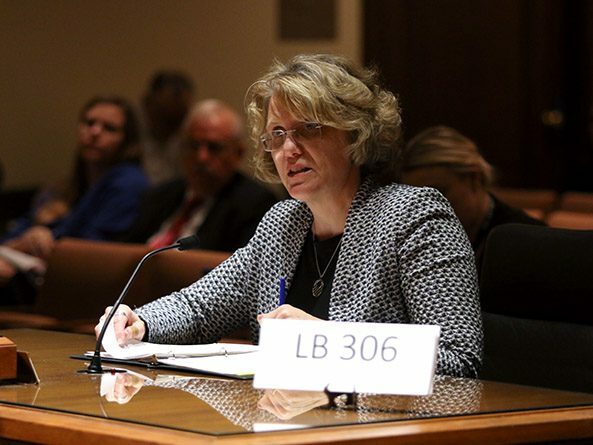 LB306, introduced by Bellevue Sen. Sue Crawford, would add leaving employment to care for a family member with a serious health condition to the existing list of good cause reasons. Crawford said an AARP study found that over 65 million Americans are acting as caregivers, with 10 percent of those leaving work to do so. Caregivers who leave employment lose an average of $304,000 in wages over their lifetime, she said. Jina Ragland, representing AARP Nebraska, spoke in favor of LB306. A traumatic medical incident like a stroke or broken hip can create an urgent need for care, she said, often making it difficult for a family caregiver to make long-term practical and financial plans. Opposing the measure was Ron Sedlacek, representing the Nebraska Chamber of Commerce. He said unemployment benefits are intended to assist people who are between jobs and actively searching for work, not those who have chosen to take time off from working.